共作室 OPEN STUDIO 2012 FEATURING SONGBIRD – This is an arts performance that combines and optimises modern information technology and gadgets, giving us the participants, a journey/walk into a drama/adventure that comprises of beautiful music, singing, the story of a very beautiful and talented singer that went missing, while the fans were waiting for her singing debut, the glamorous and mysterious Feist. 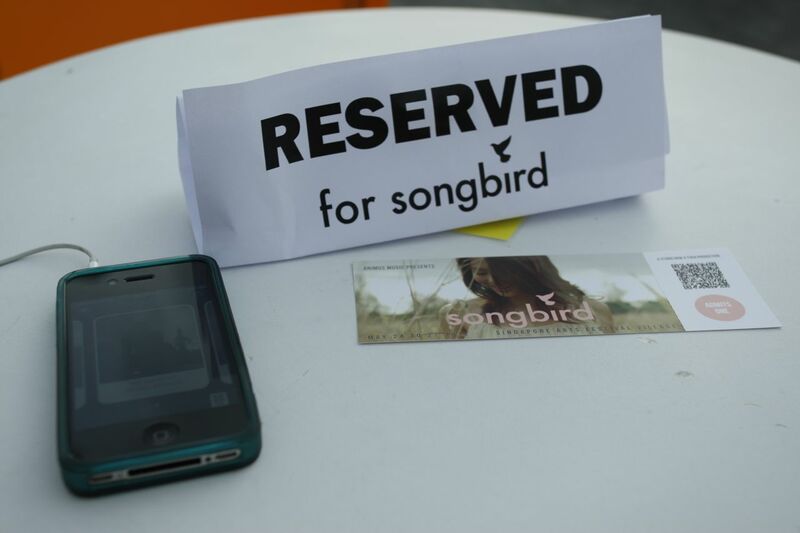 With the aid of an iPhone App, GPS, Maps and your headphones plugged into your ears, the participants like myself arrived at the top of the Festival Village Cafe, waiting for the SongBird concert to start. Never did we realised that, it was a journey that opened up into the virtual and reality world of the SongBird, about her ambition to be a singer, the fans obsession with her, aspiration, love and what really happened to her. 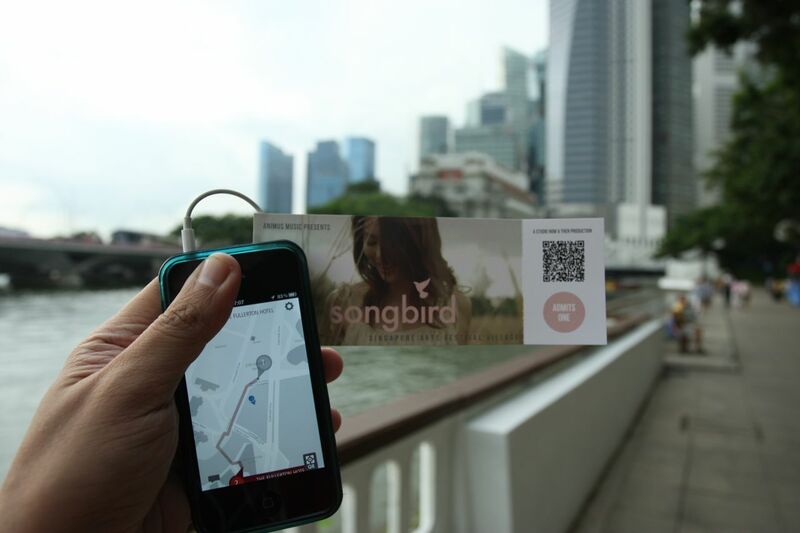 With videos, SMS and songs, I started walking the journey to search for SongBird, with the usage of the SongBird iPhone App, my journey begun, walking towards Fullerton Hotel Heritage Gallery for my first clue to where she could be. We were shown an art gallery exhibition of SongBird, her portraits, artwork and drawings, where was SongBird ? The clue was to continue to the next location with the scanning of the QR code and our Apple iPhone App will direct us, with directions, maps, songs, SMS. The journey continued, interactive and intriguing, it’s like an unknown adventure, exploring and searching for Feist, where can she be? Walking towards Asian Civilisations Museum as directed by the SongBird App, I was asked to turn back and walk towards another location, what happened? 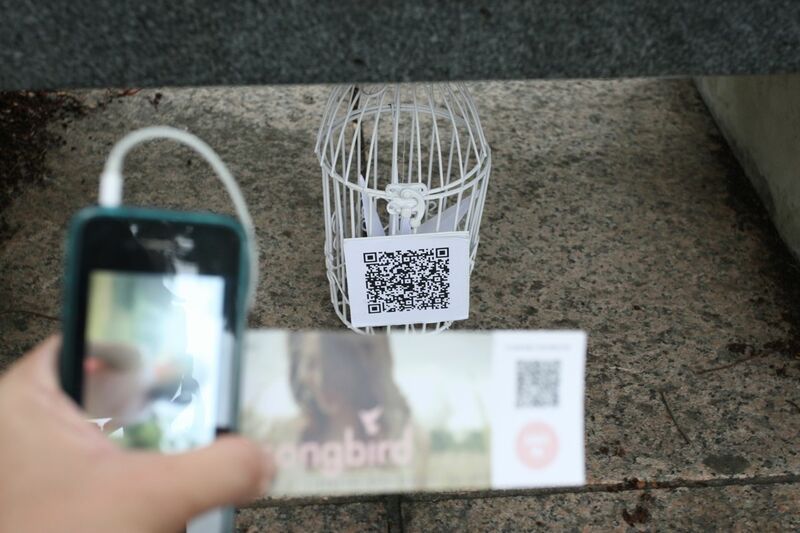 Walking towards the Singapore River, where the Anderson Bridge on the Singapore River is located, my destination was the concrete benches where more clues to SongBird were released, through the videos, SMS and songs. This was also a special time whereby the participants were treated to a local ice cream from the ice cream vendor nearby the Anderson Bridge! After a short rest, I continued the journey to search after scanning the QR code for the next set of clues and directions. It was very near, the long Lotus limousine behind the small road and I hopped inside, watching a video being played, yet no more details of SongBird were released and it only added on to the mysteries behind it! As the journey continues into the unknown, I arrived at the SongBird press conference at Animus Music HQ, taking a self-photo and pasting it on the Press Pass, I was watching the press conference for SongBird. After I finished watching it, I left and was directed back to Esplanade Park, where the Old Old Tree was, the last location on this 1 hour journey adventure. Walking along St Andrew’s Road, in the dusk, watching SongBird’s video being played, it was around the same time and scene. 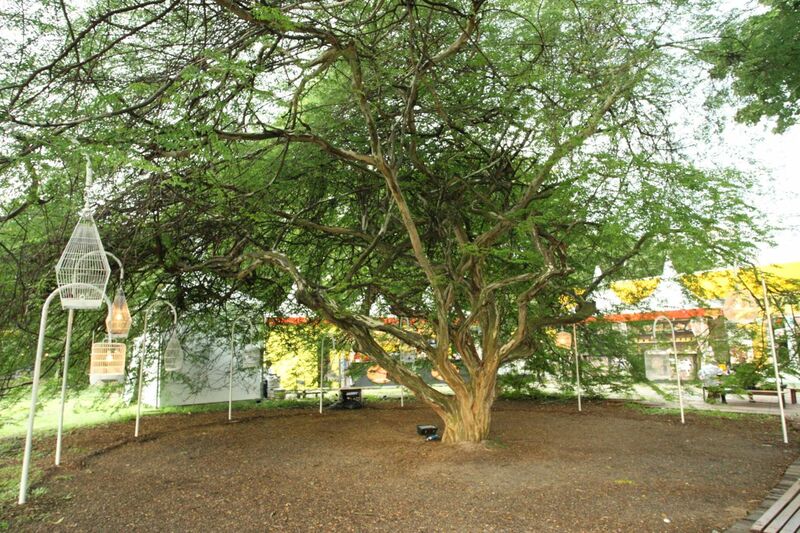 Following the directions on the app, I returned to where I started at Singapore Arts Festival and found the Old Old Tree. Under the Old Old Tree, I found the peace and tranquility, while SongBird was never seen in real person, the beautiful music, vidoes, songs had been accompanying me throughout this interesting and intriguing 1 hour journey in a quest to search for her.